When I write my reviews of the weekly Shoot Interviews, more often than not I end up saying how great it was. Indeed, I think there's only been a couple of interviews I really didn't like. So let's keep this short - Marty Janetty's Shoot Interview - damn good viewing. So I switched on my television around tea time, and I see something I thought I'd never see. In all my years of watching wrestling from around the world, I never thought I'd see someone wrestling in a monkey suit, and losing the match after slipping on a banana peel in the ring. Mind you, this is Sakura Hirota we're talking about here. U.K. Round-Up kind of disappointed me this week. The FWA Academy now has it's own show, so why was an Academy title match featured on this show? I was also disappointed to find that the other matches featured were from the FWA Unsigned show. Like a few others have said on various forums, if U.K. Round-Up is to succeed, it might be better if the shows focused on one promotion at a time, rather than the hotch potch we currently have. Such a format would also allow for background information on the promotion and it's roster as well. Although the Extreme Horsemen have returned, Major League Wrestling just seems to be lacking something now. After some of the great shows they've put on in the past few months, I find myself losing interest in the promotion. Well, it looks like this could be one of the last times I see TNA on The Wrestling Channel, which is a great shame, as I think I'm just about getting used to the six-sided ring. Not a bad show this week, particularly the match pitting A.J. Styles against Dallas, and the tag-team title match between America's Most Wanted and the team of Abyss and Monty Brown. A shame that next week's show will be the last. Earlier in the day I caught up with some great CMLL action, although I do wish they'd provide subtitles for the backstage segments. It's like watching an awful Spanish soap opera. And what's with the vertically challenged fellow in the monkey suit? Perhaps he was just following Sakura Hirota's lead. Even earlier, the Spotlight show gave us another does of an Irish Whip Wrestling show from 2002, featuring Flatliner, Jake Roberts, Doug Williams and Slyk Wagner Brown. But the highlight of the show was the bout between Robbie Brookside and Joe E. Legend. The tape is available via The Wrestling Channel's shop. Raw seemed to be lacking a little this week. The thought that Triple H could lose his World title to anyone on the roster in the opening Battle Royale was ruined by the new stipulation, put in by Vince McMahon, that the winner would get the title shot at the end of the show. However, the show was saved by the old guys. They may not be in their prime, but Ric Flair and Jerry Lawler put on a match with a good story line, a good build-up and great psychology. I hope the rest of the roster were watching this, because they could certainly learn a few things from these two. And is it me, or is Batista getting more impressive each and every week? While watching the new edition of U.K. Round-Up, I couldn't help but feel extremely disappointed. The coverage given to the WAW British title match between the Zebra Kid and Paul Tyrell didn't do the match justice. Two whole rounds were cut from the bout, and the fact that the WAW championship rules weren't explained detracted from the match as well. What was a great match on the night became nothing more than a side-show that was ridiculed by the tape editors and the commentators, and it says it all about the show when a mid-card match is given main event status, while a British title match becomes a curtain jerkier. For some reason, I just can't get into Smackdown at the moment. Maybe it's just been a poor television week for the WWE, but with Armageddon just a couple of weeks away, the build-up to the fatal four way main event may be okay, but it isn't getting me excited at all. Finally, something to enjoy. Supercard Sunday gave us a great compilation with the Best of Low Ki, with some great matches against many of the top stars on the American indy scene and beyond. Unlike previous compilations, I don't think there was a match that I didn't enjoy. Good work all round. Highlight of the Week: The Best of Low Ki supercard. Lowlight of the Week: The brutal editing of the WAW British title match on U.K. Round-Up. Once again, the Shoot Interview delivers. I didn't think that the Marty Janetty interview would be this entertaining, but if you manage to talk to the man yourself, ask him what he learned from Doug Sommers and Buddy Rose. Big disappointment here. I tuned in to see Major League Wrestling, and found that TWC were showing last week's edition. I know MLW programming is coming to an end on the channel, but surely something could have been announced on TWC's website. Possibly the last TNA pay-per-view on TWC turned out to be one of the most entertaining in recent weeks, no doubt because it was also the second anniversary show. A good main event featuring Jeff Jarrett defending the title against Ron Killings paled in comparison to the appearance of Jeff Hardy, going up against X-Division champion A.J. Styles in a dream match. Sadly, because of the current situation, we may not see the like of this on TWC again soon. Chris Jericho certainly proved to be the most entertaining and charismatic of the temporary Raw General Managers, even though his opening segment was overshadowed a little by Vince McMahon's announcement that the World title was now vacant. Am I the only one who thinks that the New Year's Revolution pay-per-view will feature a World title tournament? 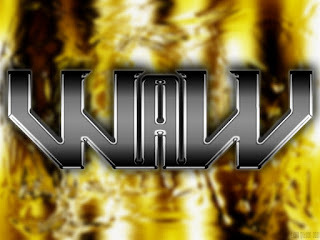 U.K. Round-Up again provided us with a show consisting of either matches from FWA shows or matches involving FWA mainstays, and although the matches were entertaining, I couldn't help but feel a little disappointed. I would love to see wrestlers and matches from promotions around Britain, but sadly U.K. Round-Up is failing to deliver in this aspect. It seems that the WWE creatives plan is to take wrestlers who are devoid of character and gimmick and put them with the champion. First Orlando Jordan joined JBL, and now it's the Basham Brothers. The sad thing is that no matter who joins JBL's Cabinet faction, the group will always seem second rate when compared to Evolution. Those of you who have been around for a while will no doubt be aware of Brian Glover, the actor, one of Britain's greatest actors of the late twentieth century. However, not many fans will be aware of Glover's previous wrestling persona, Leon Arras, the man from Paris. I had never had the chance to see Glover in action before, but thanks to World of Sport we were able to travel back in time to 1970, and his match against a young Ray Steele. The only thing I can say is that the bout was great, and if young wrestlers today want to see a good example of perfect ring craftsmanship, then try and catch this match when it's repeated. A certain personage who will remain nameless said to me in a private e-mail the other day that there doesn't seem to be anything that doesn't disappoint me on The Wrestling Channel. Well, that was certainly the case with this week's Supercard Sunday show, the recent FWA British Uprising III. had been given a four hour slot, and they still couldn't fit this match in. That must have been a real long night in Coventry last month! Then it was on to Armageddon. Aside from the opening tag-team title match and the fatal four way main event, Armageddon just seemed like an extended edition of Smackdown. As the old saying goes, nothing to see here. Move along. Highlight of the Week: Seeing Drew McDonald and Terry Funk kick the crap out of each other at British Uprising III. Lowlight of the Week: Not seeing A.J. Styles and James Tighe kick the crap out of each other at British Uprising III.